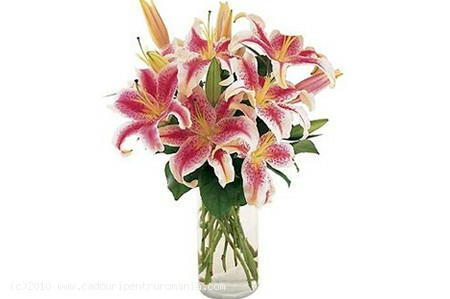 A stunning bouquet featuring flagrant colourful lilies! Send this gorgeous gift to that special someone and she’ll love it! Redescover the joy of gift giving with Send Gifts To Romania!